Americans get a little bit nostalgic this time of year, clinging to traditions from their own childhoods and creating new traditions to carve out some sense of ritual in an ever modern world. 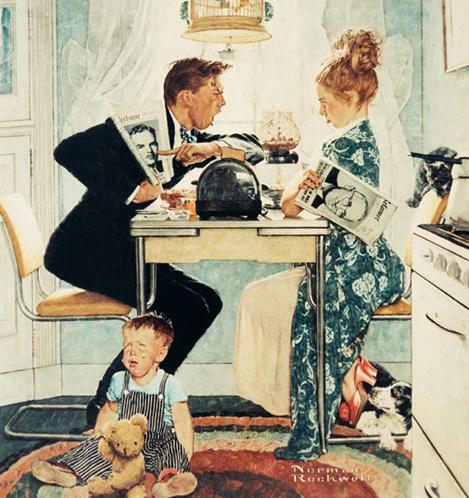 We look to the illustrations of Norman Rockwell, with their sweet coating of cane sugar and gender roles served on sterling silver plates, and mourn for the loss of our collective innocence. What we don’t realize as we’re looking at these savory slices of Americana is that many of them were based upon photograph that sometimes tell a very different story than the resulting painting. 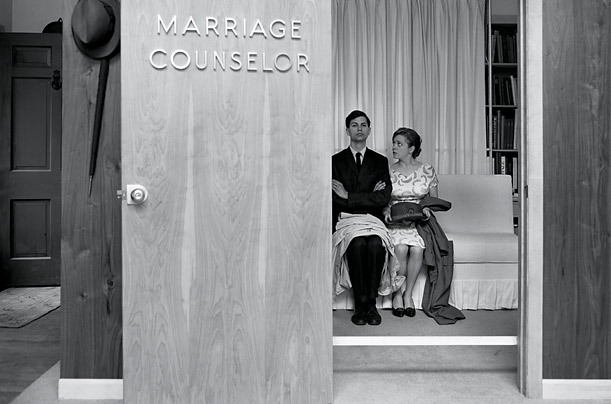 In one photograph, a man and woman sit in a marriage counselor’s office; the woman sits next to her angry husband with the expression and posture of a woman begging forgiveness. 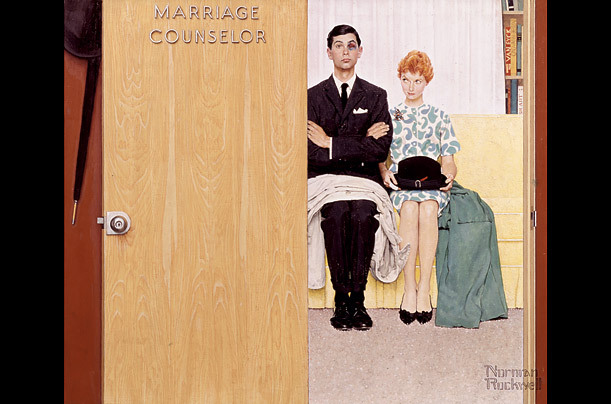 In the illustration, the man has a black eye and the woman wears a teasing, sly, proud expression. The photograph, though devoid of any evidence of domestic violence, is nonetheless chilling in its implication of male power. 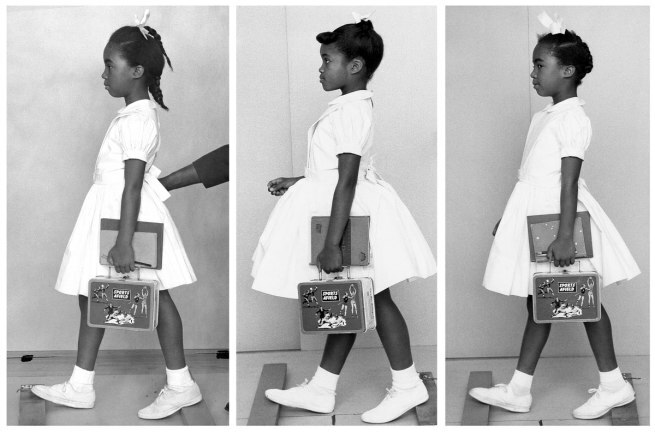 In another series of photographs, three little girls are shot from the same angle wearing the same dress. 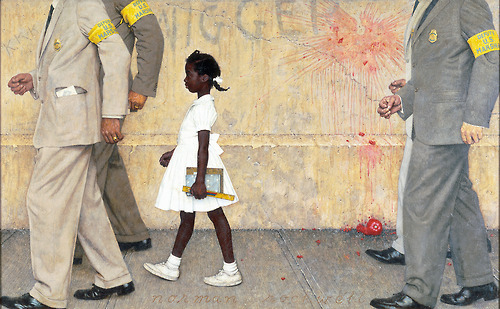 He used the reference image to create one of his most well-known works: The Problem We all Live With. The photographs behind the paintings, nearly 20,000 in all, are often works of art in their own right, and do much to inform the illustrations, adding depth and historical context. 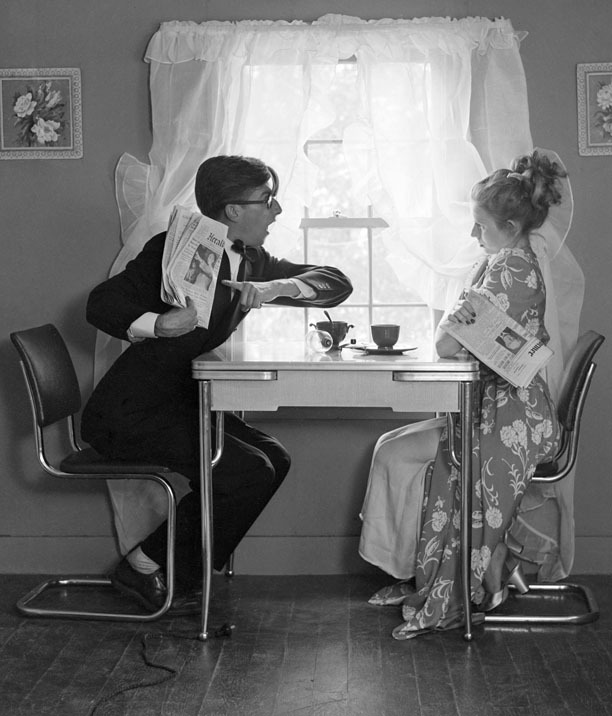 Ron Schick has collected a selection of the photographs and their resulting illustrations in a book called Norman Rockwell: Behind the Camera, available for purchase here.